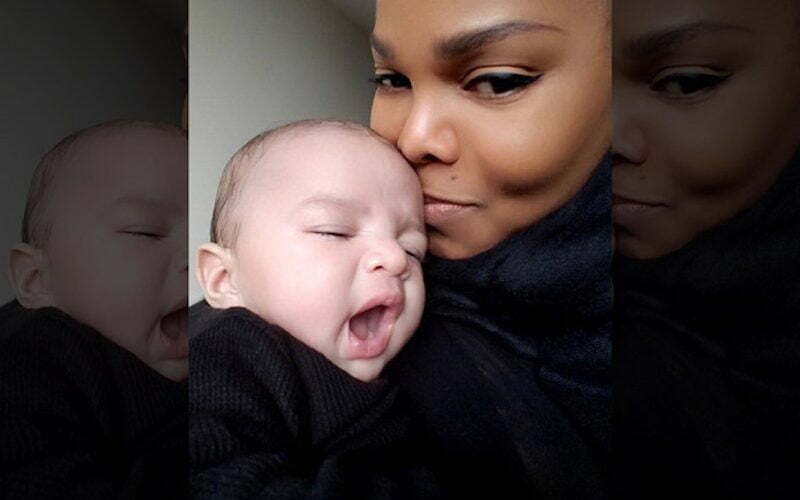 Janet Jackson tweet out the first photo of her baby boy Eissa amidst reports that she is heading for a divorce from her third husband Wissam Al Mana. Last week, reports surfaced that Janet Jackson and Wissam are separated after five years of marriage. The couple has a 14-week-old son name Eissa Al Mana and yesterday was the first time that the world is getting a glimpse of him. Eissa was born on January 3rd this year. “My baby and me after nap time,” she wrote on Twitter. The mega pop star seems very happy to be a first time mother, but she also is gearing up for her third divorce from the father of her child who is a billion businessman. In April last year she announced that she would be suspending her tour due to her pregnancy. Some of her fans were upset, but most seems to understand when she explained that she is extending her family.